played in Endicott, New York. play-off hole to beat Tommy Armour III. additional top-10 finishes in the Doral Classic and Buick Classic. 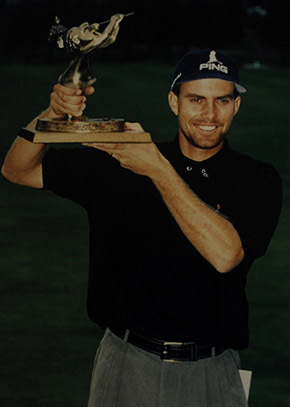 T-16th in the 1999 US PGA Championship and T-34 US Open. This success earned Gabriel the 41st position on the money list.